pelvic adhesions can lead to significant problems including compromise of the bowels, the bladder and urinary system, and increase need for additional surgery. What are pelvic adhesions, and what causes them? Pelvic adhesions are scar tissue. This scar tissue can grow between two organs in the pelvic area and cause significant pelvic pain. Pelvic adhesions can occur around the bladder, bowel, ureter, uterus and ovaries. These can result from infections, endometriosis, or prior surgery, including Cesarean deliveries. Surgical procedures, such as myomectomy and endometriosis surgery, can also lead to adhesions. Adhesions are also more common after open surgery, (meaning the surgeon used an eight-inch incision to gain access to the pelvic cavity), than laparoscopic surgery. The risk of adhesions increases with the number of major abdominal and pelvic surgeries. Additionally, post-surgery infection or bleeding can lead to adhesion formation due to increased inflammation during the healing process. Scar tissue can be completely asymptomatic and not cause any problems. However, when the adhesions cause infertility, pain or gastrointestinal problems, such as bloating and constipation, a woman might consider a procedure called resection of pelvic adhesions. If I have pelvic adhesions, will I be able to have children? Pelvic adhesions can have an impact on a woman’s ability to conceive and carry a baby to term – particularly pelvic adhesions related to endometriosis. How are pelvic adhesions treated? Pelvic adhesions are treated, if they are causing bothersome symptoms, by resection surgery, which removes the scar tissue. What advances are there in surgery to treat pelvic adhesions, and what are the benefits over other procedures? Since pelvic adhesions are scar tissue, it is critical for patients to seek out a skilled surgeon to reduce the risk of creating additional scar tissue. Board-certified gynecological surgeons can help patients with pelvic adhesions avoid generating additional scar tissue. These specialists have made a commitment to surgery. They perform a higher volume of cases, see a wider range of case types, and undergo comprehensive training sessions. Laparoscopic treatment for pelvic adhesions can reduce pain, speed up recovery time and reduce the risk of new adhesions forming. Developed at The Center for Innovative GYN Care, DualPortGYN is a recent advancement in minimally invasive GYN surgery that uses two cosmetically appealing five millimeter incisions in the abdomen, and a technique known as retroperitoneal dissection (RPD) to remove pelvic adhesions. RPD allows surgeons to map the organs and arteries in the pelvis, much like a GPS system, reducing the time of the procedure and avoiding injury to the pelvic structures. The surgeon can see the entire pelvic region to locate all of the pelvic adhesions. Furthermore, robotic resection of adhesions offers no benefit to the patient and is not the preferred method of operation. It requires a greater number and size of incisions without improvement in complications or outcome. Recovery varies based on the patient, the density of the adhesions and the number of incisions required to remove the adhesions. Are there alternatives to surgery? If the adhesions are not causing troubling symptoms, it is unnecessary to undergo surgery. 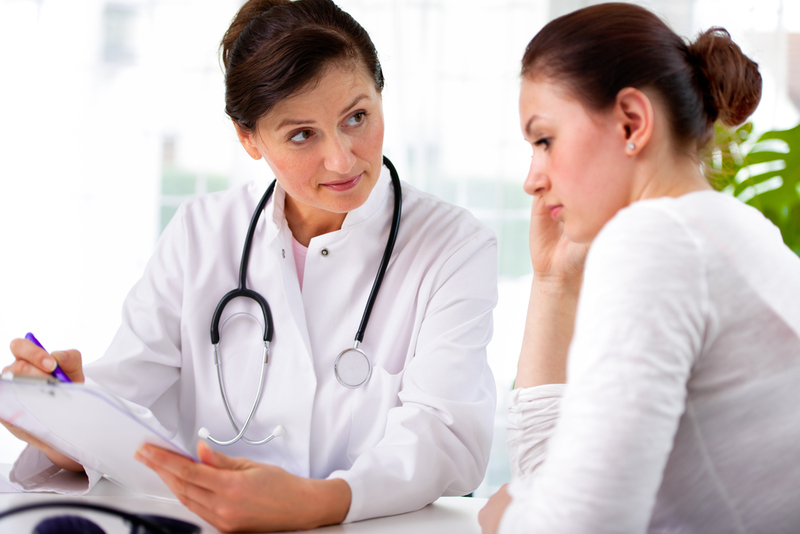 What should I ask my doctor or OB-GYN if he/she recommends resection of pelvic adhesions? Before undergoing surgery, you will likely have many questions for your physician or surgeon. View our recommended questions to ask - and background information to help you weight the answers - below or download a printable version. How do you perform resection of pelvic adhesions? Laparoscopic removal of scar tissue (lysis of adhesions) is most effective in patients with extensive adhesions and adhesions involving the bowel. In cases of mild adhesions, cutting down of adhesions may not treat the pain and other causes of pain need to be considered. If scar tissue is caused by multiple cesarean deliveries, the removal of the uterus may be necessary to avoid adhesion reformation and repeat surgery. Do you recommend open surgery? Open resection is still the mostly commonly performed surgery to remove pelvic adhesions, but the major disadvantages with this type of approach are that it requires a much larger incision than new minimally invasive techniques, can result in longer hospital stays, can cause more pain during recovery and longer recovery times – patients often need six to eight weeks to recover. A recent advancement in minimally invasive GYN surgery, DualPortGYN is a new way to perform resection of pelvic adhesions and has been used in thousands of surgeries. When it comes to any form of surgery, training, skill and practice matter, which is why GYN surgeons who specialize in minimally invasive surgery are the most qualified. The reality is that OB-GYNs are highly skilled obstetric practitioners, but very few perform GYN surgeries often enough to be surgical specialists. This is borne out by studies, which find that GYN surgery is commonly a secondary component of what an OB-GYN does. What have your other patients experienced after this procedure? Robotic, open and conventional laparoscopic GYN surgeries can lead to longer recovery times, increased blood loss and larger scars than newer procedures. Make sure your surgeon is trained in the latest minimally invasive techniques, such as The Center for Innovative GYN Care’s DualPortGYN, that prevent injury to the pelvic structures and minimize blood loss – resulting in reduced complication rates and improved recovery times. Have you had fellowship training in minimally invasive GYN surgery? While most OB-GYNs are highly trusted generalists, they spent most of their time focusing on obstetrics and basic GYN care and therefore, perform specialized GYN surgeries rarely. Be sure to choose a surgeon who has received comprehensive training and performs many pelvic adhesion resections or other minimally invasive minimally invasive GYN procedures each year. Will you use robotics to assist with the surgery? Although the American Medical Association and other leading medical societies have issued statements discouraging robotic techniques due to dramatically higher costs to patients without any medical advantages, robotics continue to be used in GYN surgeries. This is because robotic procedures “enable” an OB-GYN not well trained in laparoscopic GYN surgical techniques to complete a GYN surgeries through a “minimally invasive” approach. This is why women need to ask if robotics will be used during a GYN surgery and to seek a specially trained surgeon able to perform the latest minimally invasive surgical techniques, such as DualPortGYN and retroperitoneal dissection that do not use robotics. What is my anticipated recovery time? New minimally invasive techniques require, on average, only a week to recover. Other procedures such as open abdominal surgery can take up to 8 weeks. What are my other surgical options? Ask your physician if he or she is aware of new, minimally invasive procedures. Women need to be their own best advocate, which is why getting a second opinion is always good practice. Since there are different surgical options for treating pelvic adhesions, getting a second opinion is a way you can ask questions about how the surgery will be performed, the recovery time, and possible complications. This information is provided by THE CENTER FOR INNOVATIVE GYN CARE for general information purposes, based on a variety of sources, including third parties and government agencies. For a sample of those sources, please visit this list of resources. Individuals are encouraged to learn more about their conditions and discuss any questions they have with their health care provider of choice.